"In this [Afghan] administration and with the decision of the High Peace Council as the mediator, we announced that there is no condition to start the negotiations … Whatever agenda the Taliban wants to be discussed at the negotiations table, we are ready to facilitate that … Any issue that is good for Afghanistan’s future is discussable … including amendments to the constitution", Taheri said. The spokesman for the council added that the previous Afghan government had suggested certain conditions and the talks never started. 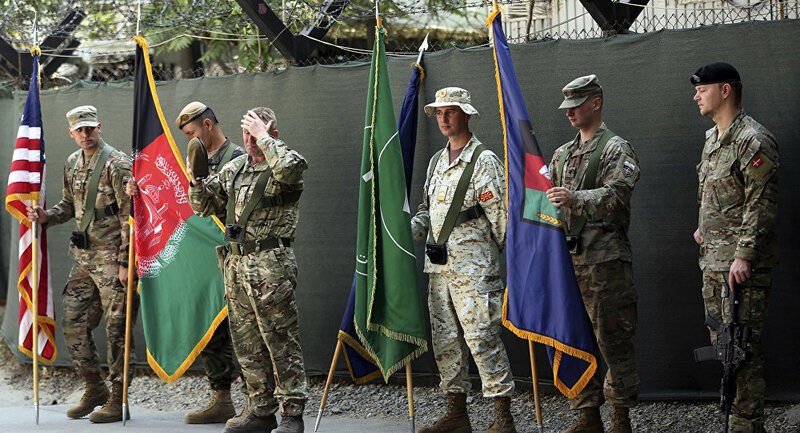 The United States and other NATO states, currently assisting Afghanistan, have reassured Kabul that they are ready to withdraw their forces from the country if the Afghan people want it, Ihsan Taheri, the representative from Afghanistan’s High Peace Council, told Sputnik. "It’s not a problematic issue between us and the United States, it is a not a problematic issue between us and the other international colleagues that are here for security assistance… We told them [about the potential withdrawal] … and they said: ' It’s up to you'", Taheri said. Taheri pointed out that Afghanistan needed this presence "for the time being". The council representative noted that the withdrawal of foreign troops would also be up for discussion during the potential talks between the Taliban and the Afghan government in the future. "We are hopeful that the peace negotiations between the government and Taliban could start very soon, because, according to our sources, a trend is growing at different levels of the leadership of the Taliban … the trend for direct talks to start with the government of Afghanistan, the trend for considering peace a major issue … We are hopeful, either this year or next year, peace negotiations between the government and the Taliban directly … should start", Taheri said. The council's erpresentative said that all major obstacles to begin the talks had been removed. "We don’t have any problem left, except the decision to be made by the Taliban leadership to announce their delegation, to announce their readiness for direct talks to happen between the government and themselves … The major problems, everything is solved now", Taheri said. The council is willing to help ensure that the talks are held in any place that the Taliban deems secure. "The HPC [High Peace Council] will facilitate any place, anywhere, the Taliban thinks is safe for them, is secure for them and is good for them to start direct negotiations with the government of Afghanistan, including [within] Afghanistan and outside of Afghanistan", he said. Taheri explained that Kabul was ready to negotiate with the Taliban because it views the movement as armed opposition, unlike other militant groups active in Afghanistan. Ihsan Taheri, the representative of Afghanistan’s High Peace Council, told Sputnik he was asking Russia, on behalf of the council, for assistance in ensuring that the Afghan government and the Taliban movement could start direct talks soon. "On behalf of the HPC, I request the Russian Federation to assist us in the peace process in coordination with the government of Afghanistan and with the HPC so that we consider the peace talks to be held very soon between the government of Afghanistan and the Taliban", Taheri said. The council spokesman stressed that this would be good for Russia and for other countries in the region. The spokesman for the council has also commented on the meeting over Afghanistan in Moscow saying it was friendly, the delegations of the Taliban movement and Afghanistan’s High Peace Council did not exchange any negative words. "At the end of the conference, of course, the situation was very friendly, the conference environment that included for the first time the Taliban movement delegation [was friendly]. We sat in front of them, we talked with them at the tea break sessions … There was no kind of negative words said to each other … Nothing negative", Taheri said. The council representative noted the meeting was yet another important step in the Afghan settlement process. According to Taheri, the meeting showed that the talk of the country’s government and the Taliban without intermediaries was possible in the near future. "That’s a positive sign. And we thank the regional countries and the Russian Federation, the Russian government for hosting us", Taheri said. The council’s spokesman added that the group had asked the conference's participants to support the launch of direct talks and to guarantee that all facilitation of the dialogue would be in line with the decisions taken as a result of the Kabul Process, the Tashkent Conference on Afghanistan, and international meetings of ulamas — influential Islamic scholars. Taheri stressed that any steps facilitating the peace process should be agreed upon with the Afghan government. The Afghan Foreign Ministry said the group’s delegation at the Moscow talks on 9 November did not represent the government but expressed hope the meeting might lead to direct talks between the Taliban and Kabul. The High Peace Council was set up in 2010 by former Afghan President Hamid Karzai as a special group to hold talks with the Taliban movement.